Home » Blog » What Are the Best Ways to Keep Ants Out of Your House? What Are the Best Ways to Keep Ants Out of Your House? If you often deal with ants trailing along your counters, floors, and other areas of your home, you are not alone. Ants often find their way into homes despite your best efforts to keep them out. While it may seem difficult, or even impossible, there are some simple ways you can keep ants out of your home. First, you should understand why ants choose to invade your home. Ants live in colonies, and worker ants must go out and forage for food to feed the colony, especially the queen. The queen serves an important role. It is her job to ensure the colony grows in size. She produces babies that grow into their appropriate roles and work to ensure the survival of the colony. Ants will travel a distance away from their primary nest to seek out food for the colony. Without food, there is no way for the colony to survive. There are plenty of natural food sources for ants, but humans often provide the best food source possible. To stop ants, you must be diligent in not providing a food source, and you should locate the queen and her colony and destroy it. Make sure you watch where ants go. While it might seem temping to spray any visible ants you see with a can of pesticide, it is better to have patience. Allow ants to the food they came to seek and let them carry it back to their primary nest. Only then will you locate the colony and the queen. 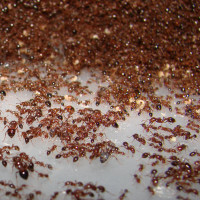 Bait often works well on ants, especially professional bait provided by a pest control company. Rather than spraying down the worker ants you see, allow them to take the bait and run with it. They will carry the bait back to their nest and unknowingly feed it to the colony and the queen. It may take a little bit, but the queen will eventually die, which destroys colony growth. Although you should keep a clean home to eliminate an ant’s food source, you should clean very carefully. Ants use scent trails to find their way back and forth. Make sure ants take plenty of the bait you use back to their colony before cleaning any scent trails away. The goal is to make sure they bring it back to the nest, especially to the queen. Remember that nothing happens overnight. It can take a few days to a few weeks for the bait to effectively kill the entire colony. The larger the colony, the longer it takes for the bait to work. 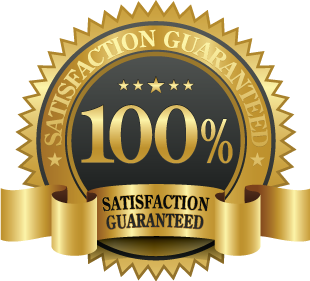 While it may not initially seem like the bait works, if you are patient, you will see the rewarding results. Most importantly, the best way to keep ants out of your home is to contact a professional. A professional can provide you with several tips to help you keep your home ant-free. Also, the ant control Toronto professional can effectively locate the nest and destroy it and secondary nests, ensuring the queen and her minion ants can no longer both you.